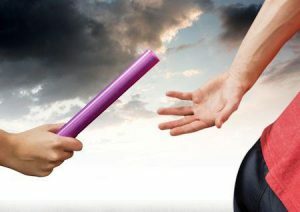 When you hear the term “succession planning,” you probably think of exit strategies for a business owner: selling the business or handing it off to one or more family members when it’s time to retire, or when death or illness mandates a change. But true succession planning goes far beyond who will own the company and dives into the roles of key team members. This is vital because the sudden loss of a key employee or manager may have just as great an impact – or greater – in the short term than a change of ownership. The one certainty in business is staff turnover, whether due to leaving for other opportunities or because of an illness or accident. A business that’s prepared to act, and not react, in such a circumstance has a much better chance of successfully weathering the change. Having a succession plan is vital in any circumstances, but never more than in today’s competitive employment market. Unemployment is at record lows and businesses are working harder than ever to attract and retain good team members, and that’s a double-edged sword: chances are higher than ever that your employees will be wooed away by a competitor, and you may find it harder than ever to replace them. Identify key employees and roles: Assess your whole team objectively. What would the loss of a given member mean to your business in lost productivity or sales? Which employees will be hardest to replace because of their specialized skills or institutional knowledge of the way your firm does business? This process will help you understand where you first need to focus your attention. Are you happy now? Regularly “taking the temperature” of those key players will help you to avoid unpleasant surprises. This may involve keeping in touch with the employee, their manager or both. Are they engaged and satisfied with their roles? If not, can those roles be adjusted to present a path for growth? Are there warning signs that they might be seeking greener pastures, like more frequent absenteeism? Who’s on the bench? For each key employee, can you identify another team member who could realistically step into the breach if they were suddenly gone? If not, it’s time to identify potential substitutes and start training. Be transparent about the reasons for cross-training, and you’ll find that most will embrace the opportunities to add to their skill sets. Do it again. Once you’ve identified your key people, done your best to make sure they’re engaged and formulated a plan to cross-train others to fill in or replace them … don’t put the plan on a shelf and forget about it. Revisit the process annually at a minimum. You might be surprised at how much has changed in a year. And FINALLY: make sure you have “Key Employee Insurance”, a life and disability insurance that covers key employees (owners or founders) important to the business’ success. Need a quote on Key Employee Insurance? Contact Consolidated Insurance.